This listing is for autograph tickets for those people who ARE attending the signing. Signing takes place from 11 a.m. to 1 p.m. on Saturday, April 15 at the Sports Authentic store inside the Puente Hills Mall. Tickets for this signing are sequentially numbered and orders are filled in the order in which they come in. This means that the earlier you order, the closer you will be to the front of the line at the signing. The first 50 tickets sold are VIP Group #1, followed by VIP Group #2, then Group #3, and so on. Large items include photos larger than 16×20, gloves, cleats, jerseys, full-size helmets, bats, equipment, and artwork. 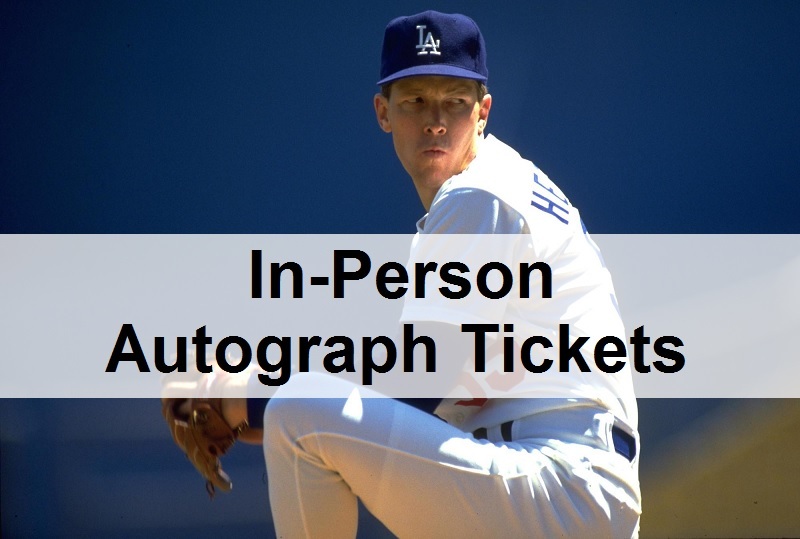 Inscriptions, autograph authentication, photos, baseballs and more are available on the 1988 Dodgers signing page. No refunds unless player does not appear.